Earlier this week Jeremy Corbyn joined Sadiq Khan to launch Labour’s local election campaign in London. They used the event to brand the Conservative record on policing and crime as one of “reckless failure” and set out why Londoners should vote Labour on May 3rd. Khan said: “The truth that Labour knows and the Tories don’t is that if you keep cutting, sooner or later the fabric that holds our communities together will tear. 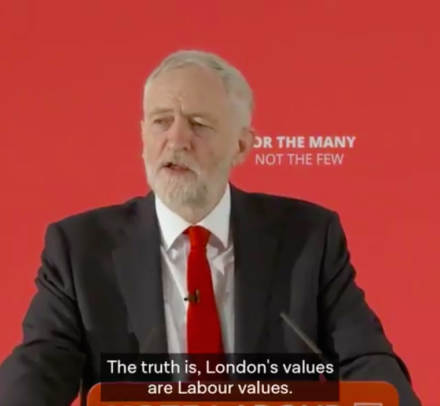 In his speech, Corbyn celebrated the mayor of London’s electoral success: “Two years ago Londoner’s elected Sadiq Khan as London mayor the first Muslim mayor of any European city. This week, we launched our local election campaign. We are better when we are united. This is at the core of what Londoners believe in and it is at the core of Labour values.